Mercedes legendary precision is complemented by the Mandrus Millenium design and brilliant finishes. 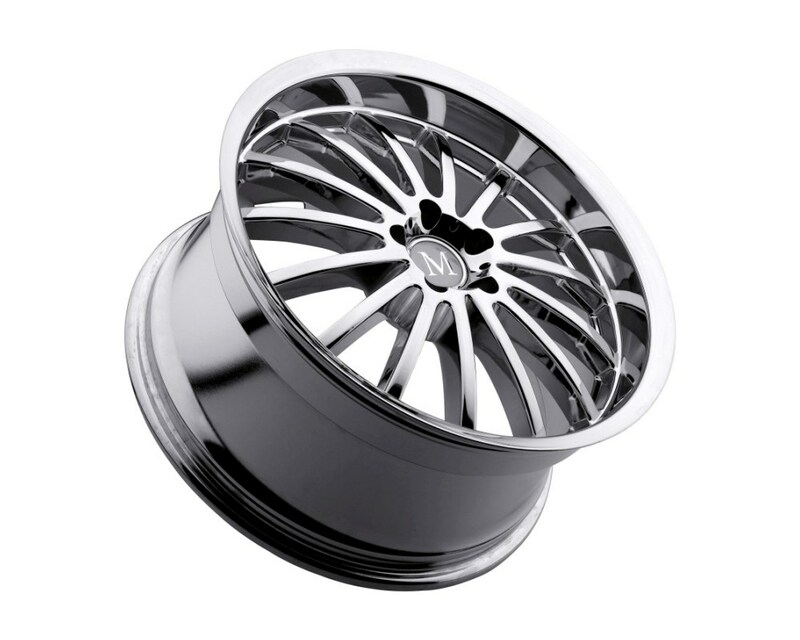 Fifteen perfectly proportioned and beautifully formed recessed spokes give the Millenium Mercedes Benz wheels a decidedly upscale appearance. Which is right for you: the Millenium finished in hyper silver with a mirror cut lip, the classic chrome version or the stunning matte black model with a mirror cut lip? Preview them all on a representation of your year, model and color Mercedes automobile or SUV using the helpful Configurator feature. 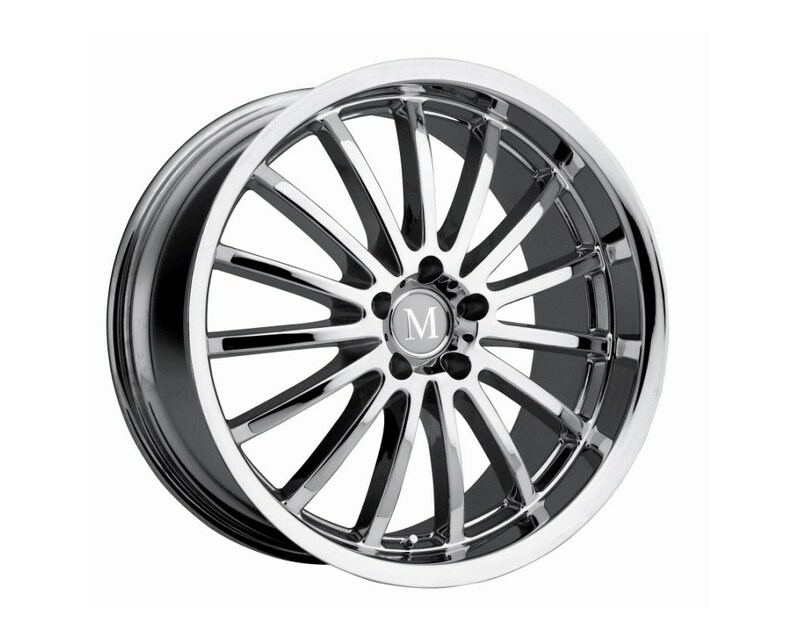 Millenium Mercedes wheels are available in diameters from 17 to 22 inches, with massive lips ranging up to three inches. 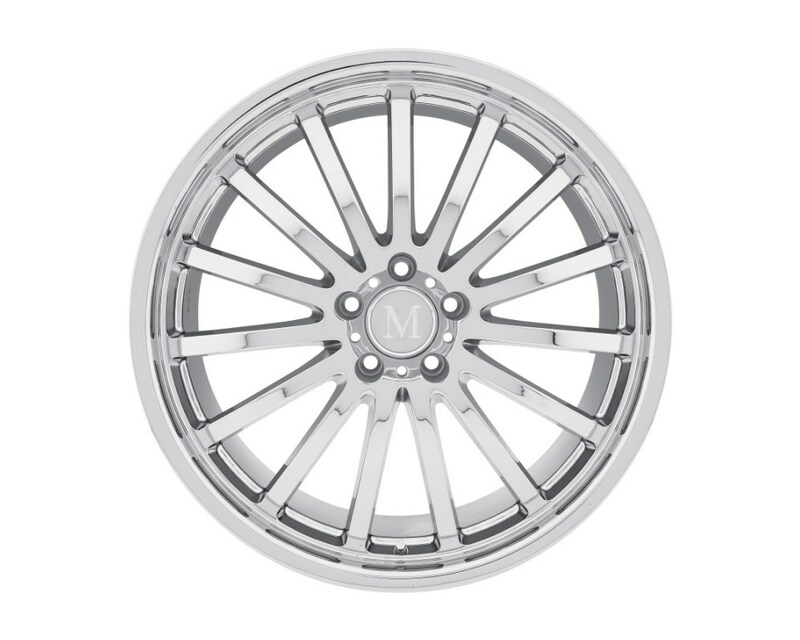 Wheels in 18, 19, 20 and 22-inch diameters are available in multiple widths to facilitate a staggered fitment, i.e. rear wheels one to one and a half inches wider than front wheels. Staggered fitments are preferred by Mercedes owners eager to increase both vehicle performance and appearance.